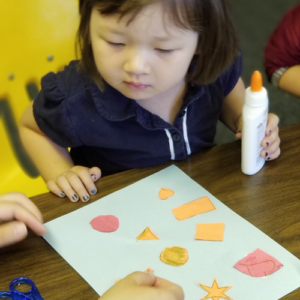 The Kindergarten Prep is a program of the Rocky Mountain Welcome Center that prepares immigrant and refugee children 3 to 5 years old to be ready for entering Kindergarten. We follow a curriculum to achieve all the readiness indicators set by the Colorado Department of Education. Facilitators have a list of activities they can choose from to do with their kids. Classes are one and half hours, two times a week and parents are present at the site. To volunteer as a Kindergarten Prep facilitator volunteers must go through a background check. Classes will start in August, but facilitators can start at any time during the series. Facilitators must commit to a minimum of 3 months.